Marmot quality at a bargain price. 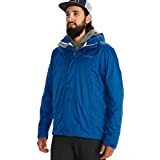 No brainer deal if you need a great rain jacket. 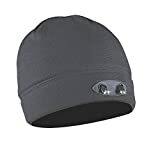 Be ready for chilly night dog walks or anything other time you might wear a beanie and need some light. Just $6!? No-brainer. Use promo code ZEIKPCO6 to get a stylish leather ratchet belt for only $10. Keep your nice clothes looking nice and new by shaving the little bits of fuzz that accumulate all over them. Just $11. Men’s and Women’s Levis Apparel is up to 50% Off Today Only! Amazon’s pulling out all the stops with today’s Men’s and Women’s Levis clothing sales. Even if you don’t need new jeans or tops, it’s worth a browse at up to 50% off. Perfect for kids or whatever other adult use you find for it. No judgement here. Classic, iconic, functional, on sale. 20% off David Archy Men’s Underwear is more than just a tease. 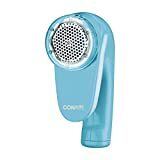 Be sure to use promo code MEN20OFF. Spruce up your look and your wardrobe with today’s Chico’s sale! This stylish designer wallet adds the extra functionality of a zipper and has never been cheaper. It may not sound like much, but the 1% Spandex woven into these cotton jeans makes them some of the most comfortable jeans on the market, especially for those of us who sit firmly in between common waist sizes. 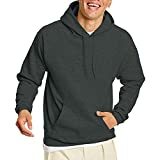 Amazon’s Buttoned Down dress and office apparel is already a great value, but this sale takes it to another level. 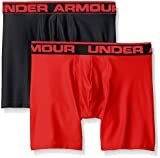 Grab a couple pairs of Under Armor’s popular boxerjocks for only $17.50. Those hot summer days are coming and every woman needs a good hat to cover up the sun. 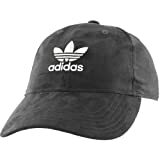 This Adidas one isn’t flashy but it will get the job done and is less than $15. Get yourself a great new coat while the prices are low and there’s still some cold weather in our forecasts. Great selection on sale today that includes both men’s and women’s fitness apparel. This feels like a price mistake, so it’s not likely to last long. Use promo code OGRX4DEI to get this smart little hat with built in bluetooth speakers for under $10! I bought a pair of these as soon as I saw the price and read the reviews. If you need gloves, how can you go wrong with $9? Use promo code JIE7TINC50 to get the special pricing.